QX® is a powerful tool, which provides an unprecedented view of pore pressure variations in the subsurface for the explorationist. QX is based on the same technology used in or Q-Based® pore pressure prediction (protected by US Patent No. 6,681,185), which we offer as part of our DrilSeis® service. QX differs from Q-Based pore pressure prediction in that, while relative variations are preserved, it is not combined with the detailed velocity work, as is done in DrilSeis projects. Used in combination with our SAIL technology, QX provides a comprehensive seismic analysis of rock properties and the results are presented in a geologically meaningful format. 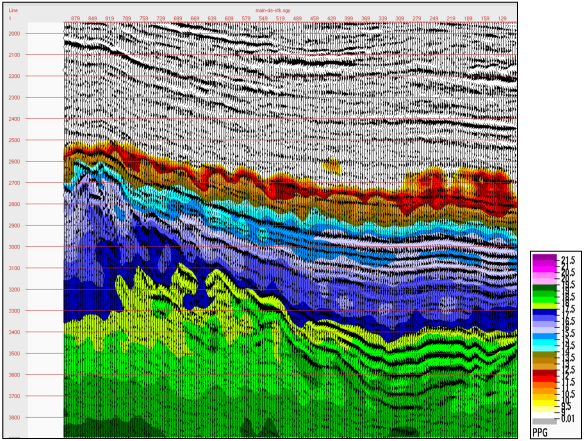 eSeis goes back to the rocks to enable multi-discipline asset teams to immediately obtain benefit from seismic petrophysics. QX is paired with SAIL for a AVO/PP exploration solution.